Throughout my 30-year career in in the fields of Sports Rehabilitation and Athletic Performance Training, I have spent thousands of hours in conversation with many good friends and mentors in the Strength and Conditioning profession. In a specific conversation that occurred in 2009 with renowned NFL and Hall of Fame Strength Coach Johnny Parker, he expressed his concern upon reading a newspaper article reporting an 800-pound squat performance by a collegiate football player. Coach Parker’s concern was the necessity of such a high intensity squat lift as a strength requirement for the game of football and is the risk of such a high intensity squat performance worth the reward? Certainly extremely high intensity loads are necessary in the sports of Powerlifting and Olympic Weightlifting, as the level of athletic achievement during these competitions is based upon the successful weightlifting performance of the heaviest loads possible. In regard to athletes who are not competitive weightlifters, but are utilizing weightlifting to enhance athleticism, is such a high intensity squat, as the previously mentioned 800-pound performance, necessary for an athlete such as a football, basketball, or baseball player? Coach Parker and I then reminded each other of an incident that occurred during my years with working him at the old New York Giants stadium. At that time both he and I were also studying with a former Soviet Weightlifter and Soviet Coach, Gregorio Goldstein. On this particular day, Coach Goldstein was also at Giants Stadium, where a Giant football player, David Megget had just easily squatted 427 pounds at a body weight of 178 pounds. When asking Coach Goldstein how to make Megget stronger he replied, “You don’t have to make him any stronger, you have to make him faster”. This comment had a profound effect on each of us to this day. How much strength does this professional athlete need to successfully play baseball at a consistent optimum level over a long season? This topic of conversation with these, and other legendary strength and conditioning professionals has enhanced my appreciation of this subject matter. So the question is raised, how much strength is necessary for optimal athletic performance? Strength may be defined as the ability of the neuromuscular system of the body to produce force as placing tension on skeletal muscles stimulates neuromuscular adaptations. Neuromuscular force generation may be either isometric or dynamic in nature, and has characteristics that would include a magnitude, a rate, and a direction. It is this dynamic muscle force generation that results in movement. Therefore, the ability of an athlete to accelerate (a) one’s body mass (m) or an external object is highly dependent upon the musculature of the body to generate force (F). Additionally, power production is the product of force and velocity and, in the opinion of many researchers and strength coaches, the most important factor in determining athletic success in a majority of various types of sports of participation. Athletic performance training programs that enhance MS, ES, and RS qualities will have an eventual transfer to the power activity (athletic) performance via the neuromuscular system of the body. MS training alone will improve neuromuscular force production, however, only through the combination of MS with either or ES and/or RS training, will ideal power type performances be achieved. From the perspective of athletic performance, many researchers and strength and conditioning professionals, are of the opinion that there are two particular variables of high significance to the contribution of optimal athletic performance. These two variables include the peak rate of force development (PRFD) or “explosive strength” and power output. The concept of explosive strength is directly related to the athlete’s ability to accelerate objects including body mass. Work is the product of force and the distance that the object moves in the direction of the applied force (Work = Force X Distance). Power may be defined as the rate of doing work (P = force X distance/time). Power may also be conveyed as the product of force and speed (P = force X speed). Power may be evaluated as an average performed throughout an exercise range of motion or as an instantaneous value occurring at a particular moment during the exercise range of motion or during the displacement of an object. Peak power (PP) may be defined as the highest instantaneous power value found over a range of motion while Maximum power (MP) is the highest peak power output an athlete is capable of generating under a specific set of conditions (i.e. type of exercise or skill performed). The body’s neuromuscular contribution of a movement sequence that results in maximum achievable velocities primarily depends upon power production (i.e. a MS component in association with a velocity component). Additionally, activities that require a display of “agility” i.e. change of direction and acceleration, are also dependent upon high “bursts” of power output. However, it is important for strength and conditioning professionals to acknowledge that maximum strength appears to affect power in a hierarchical manner with a diminishing influence as the external load decreases to a point where other such physical qualities such as the rate of force development may become more important. Lower extremity muscle stiffness is essential, as well as a prerequisite to ensure an optimal Stretch Shortening Cycle (SSC)/Plyometric type exercise performance. Plyometric (SSC) exercise performance improves RS qualities, as higher stiffness levels of the lower extremities during SSC exercise performance will result in an increase in the amount of stored (potential) and reused (kinetic) energy. There is a positive relationship between increased levels of leg and joint stiffness (the ability to resist flexion) and improvement in power, force output, rate of force production, and velocity parameters, as well as a very important decrease in amortization/ground contact times (GCT). A minimal GCT is essential for an ideal SSC resulting in optimal jumping, hopping, sprinting, and distance running (running economy) performance. The stiffness of muscle is variable and is dependent upon the forces exerted. For example, a muscle is compliant when passive, yet stiff when active. Through various methods of training it is possible to maintain and/or enhance optimal levels of lower extremity muscle stiffness. Resistance training utilizing heavy load intensities (increasing MS levels) has been demonstrated to be a very effective way to enhance lower extremity and joint stiffness. During my recent conversation with Coach Vermeil he discussed an important phenomenon that he described as a “strength reserve”. As an athlete participates in a long and grueling season, it is quite common for these athletes to lose their high initial levels of MS qualities that were present at the start of the season. Appropriate higher weight intensities in conjunction with specific and appropriate levels of exercise volume should be incorporated during the athlete’s off-season and in-season training in an effort to both increase (off-season) and maintain (in-season) athlete MS levels, as well as the benefits (force production) that are associated with high MS levels. Maintaining this important physical quality will assist to ensure repeated optimal performance over time. Coach Vermeil recommends an increase of maximal strength levels of 5% to 10% annually to establish and progress the athlete’s strength reserve during their playing season and career. Coach Vermeil also explained how MS qualities are extremely important to the aging athlete. As the athlete ages MS strength levels play a more important role to ensure successful athletic performance. Athletes begin to lose their elastic strength qualities in their late twenties, thus the counter balance to the reduction of this elastic strength physical quality is the continued enhancement of MS values. The greater the amount of MS “banked” via years of strength training, the greater the athletes ability to maintain the “balance of the scales” so to speak, during the aging process where elastic abilities are lost and MS qualities are gained/stored. In my discussions with Stan Bailey, a former Olympic Weightlifter who participated in two (2) Olympic games and is a coach at our Performance Center here in New York, he also spoke of the necessity of the development and maintenance of optimal MS levels. Coach Bailey is also of the opinion that as an athlete has an initial decline in their elastic strength qualities in their late twenties, they will also eventually begin to initially lose MS qualities slightly later in life. It is recognized that an athlete’s MS levels will begin to decline at approximately age 30. Coach Bailey’s opinion, based on his empirical experiences as both an Olympic Weightlifter and coach, is that MS levels are maintained slightly longer, until the age of 32. The consistent annual development or the “banking” so to speak of enhanced MS qualities over time, along with the associated benefits of MS qualities, will not only enhance an athletes performance during a long and physically demanding season, but perhaps also turn back the hands of time, providing an abbreviated “fountain of youth” so to speak, resulting in the fore mentioned offset of elastic strength loss resulting in a possible enhanced longevity of an athletes career. The eventual loss of an athlete’s maximal and elastic strength qualities, as well as many other neuromuscular, musculoskeletal, and physiological qualities with age is inevitable. The initiation, timing, enhancement, and maintence of MS qualities may assist to delay this process. Requirements of MS levels may differ depending upon the specific sport of participation. The physical requirements of each particular sport will assist to determine the various strength levels that are necessary for the participating athlete. For example, does a fencer need the same MS requirements as a football player? As many athletes participate in the same sport of competition, the physical requirements based on their specific position or role of play may differ. Although an offensive lineman and wide receiver both participate in the same sport of American football, is the required proportion of physical qualities necessary for optimal athletic performance the same? Does the wide receiver need the same level of MS level as the offensive lineman? Participation at various (and specific) levels of athletic competition may require advanced levels of MS parameters. An athletes MS requirement may considerably differ when comparing the demands of a professional athlete to that of an amateur athlete. The same may be said of the differences in the competitive “levels” of competition. For example, NCAA intercollegiate athletics are divided into three (3) divisions (levels) of competition, Division I, Division II and Division III. It could be derived that higher MS levels would be required for successful participation at the higher levels (i.e. Division I athletes vs. Division II athletes vs. Division III athletes) of athletic competition. It has been documented that differences in the displayed MS and power levels do exist when comparing the strength and power characteristics of intercollegiate Division I, II, and III football players. There are levels of strength that are necessary, not for guaranteed success, but as criteria to allow (qualify) an athlete to compete. This is certainly common in Powerlifting and Weightlifting, but is very important in other sports of participation as well. I recall a conversation with an Olympic Track and Field throws coach who stated that in the three previous Olympic games, all medaling shot-putters had bench pressed at least 440 pounds. If this statement is held true, then an athlete would have to enhance their MS in the bench press to at least 440 pounds to compete for a medal, not guarantee them a medal. The same may be said of various professional sports annual combines. Based upon the participating athletes displayed levels of various strength qualities, they are evaluated against their peers based on a standardized level to predict performance and athletic success. The athletes competing at these combines must meet or surpass specific “physical” standards for consideration as not only a possible draft selection, but what specific level of draft selection by the professional teams of the league. There are often times during the competitive season where a Head Sport Coach or Strength and Conditioning Professional will make the statement “We need to keep our players fresh”. Frequently this means having the players rest, or perform workouts at low sub-maximal intensity levels as not to “wear the players out” so to speak. There are certainly times through a long and physically taxing season where such a thought process may be feasible under specific scenarios, however, to adhere to this philosophy for a significant extended period of time may prove costly. For an athlete to avoid appropriately planned and timed periodic high intensity, low volume training in-season, will contribute to a deconditioning of the athlete and a forfeiture of the MS and power qualities processed at the initiation of the season. Coach Parker in-season weight programs placed emphasis of not only maintaining MS and power qualities during the season, but also improving these physical qualities as the season progressed. During one of his NFL Super Bowl bound team’s seasons, 35 of his players performed a PR in at least one lift during the same playoff game week. The in-season program design is beyond the scope of this writing, however, the lesson presented is that (a) there is a distinct difference between “staying fresh” and “staying strong, and (b) in-season MS and power quality enhancement can occur. Maintaining and/or enhancing an athlete’s strength qualities in-season is what will keep the athlete “fresh”. There are certainly a number of factors to consider during the instrumentation of an in-season training program. A sport such as football may present a more organized structure for training as only one competition is scheduled per week, vs. the multiple competition’s scheduled per week in sports such as baseball, basketball, and hockey. However, there are strength coaches in these for mentioned sports, such as Coach Vermeil who programed appropriate high intensity exercises not only during the in-season, but prepared his athletes with appropriate intensity and low volume workouts on game day as well. Maintaining, if not improving MS and power qualities during the in-season may be one of the few advantages that an athletic team may have over their opponent in the present era of advanced athletic performance enhancement training. Discussions with former NFL and Hall of Fame Strength Coach Al Miller and Strength Coach Derek Hansen brought to light the relationship of excessive MS training in regard to the time considerations available for the athlete’s training. In addition to the “risk vs. reward” contemplation during the application of increased high intensities for exercise performance, the time available for training is an additional factor that should not be ignored. Organizations such as the NCAA place restricted time allotments for the training of an athlete. The athlete’s work capacity or their resistance to excessive fatigue is also a factor of suitable programming (training time). The question arises if additional training time is spent to increase MS qualities that may not be necessary or excessive, is there enough training time remaining to properly train the other important physical qualities necessary for the athlete to produce optimal and repeated athletic performance? Training time restrictions, in association with the athlete’s work capacity to performance train efficiently, are definitive considerations in the program design for the enhancement of multiple strength qualities that are necessary for high level athletic performance. Unnecessary emphasis of MS qualities may result in an absence of sufficient training of other important strength qualities. 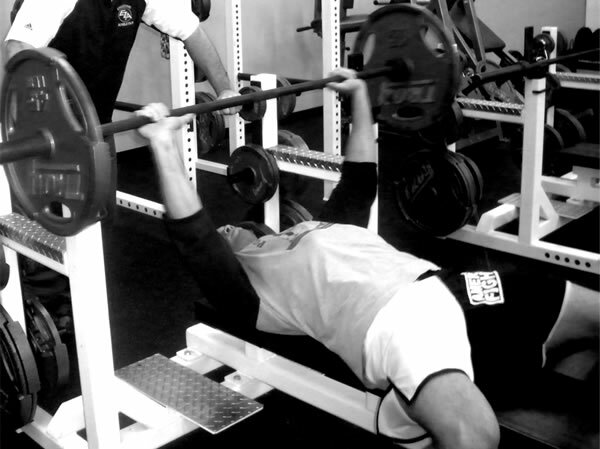 Maximal Strength is a basic and important characteristic for improving athletic performance. However, MS qualities in association with power type qualities are essential for the achievement of optimal athletic performance. A MS strength reserve is a contributing factor to maintaining athletic performance throughout a long season, as well as enhancing the longevity of an athlete’s career. During the application of high intensity exercise the “risk vs. reward” must also be considered, as excessive high intensity loads may place the athlete at increased risk of injury. The appropriate and proportionate level of MS necessary for each individual athlete is contingent upon a multitude of factors, and includes the “eye of the coach”, likely the most essential factor in determining the MS level necessary for the athlete. It is the coach’s eye, which is the “talent” that separates the great coaches from the good ones. 4. Lyttle, AD, Wilson, GJ, and Ostrowski, KJ, Enhancing performance; maximal power versus combined weights and plyometrics training. Journal of Strength and Conditioning Research 10(3): 173 – 179, 1996. 9. Zatsiorsky, VM, and Kraemer, WJ, Science and Practice of Strength Training. Champaign, IL: Human Kinetics, pp. 33 – 39, 2006.